Stefan Bollig makes his Rieslings in the traditional style: juicy, lightly sweet, greatly rich and layered with complex flavors of apples, citrus, and petrol. Through the front window of his winery/home climbs the steep, slatey Goldtropschen hillside he farms just across the street, so close he can hear birds chirping on the vines from his front yard. 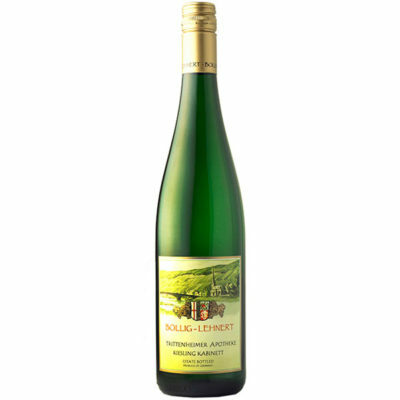 Although this riesling is touched with a hint of sweetness, it has enough mouth-watering acidity to reach a perfect balance. Delicious!